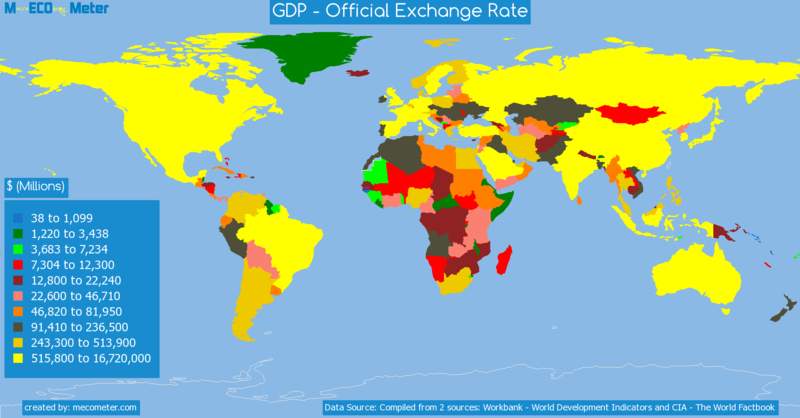 Value & RankThe GDP - Official Exchange Rate of Peru is 210 ( billions of $) with a global rank of 51. 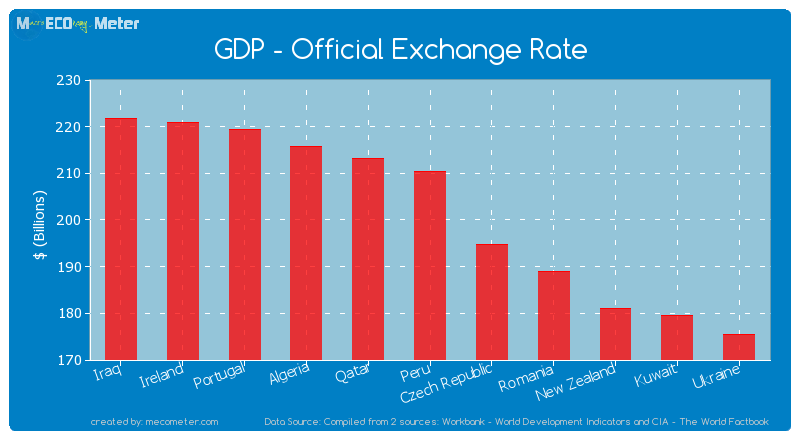 Peru compared to other CountriesThe GDP - Official Exchange Rate of Peru is similar to that of Iraq, Ireland, Portugal, Algeria, Qatar, Czech Republic, Romania, New Zealand, Kuwait, Ukraine with a respective GDP - Official Exchange Rate of 222, 221, 219, 216, 213, 195, 189, 181, 180, 176 ( billions of $) and a global rank of 46, 47, 48, 49, 50, 52, 53, 54, 55, 56.10 years growthPeru's GDP - Official Exchange Rate had a positive growth of 264 (%) in the last 10 years from (2003 to 2013). 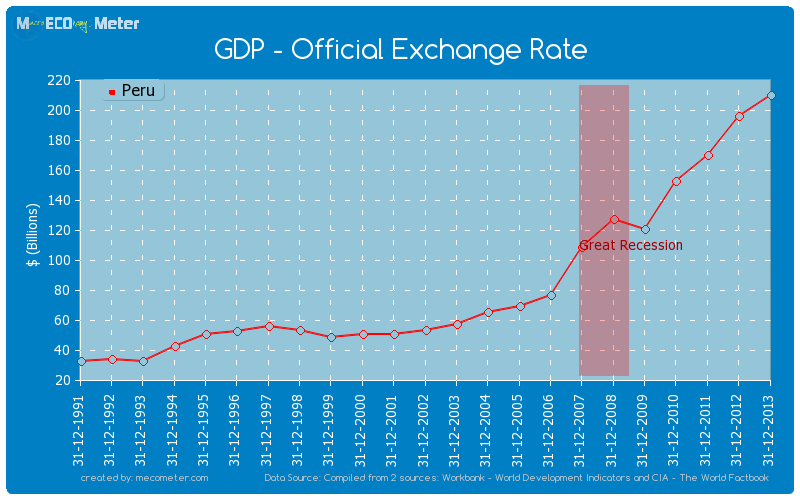 Last 10 years averagePeru had an average GDP - Official Exchange Rate of 123 ( billions of $) in the last 10 years from (2003 to 2013).